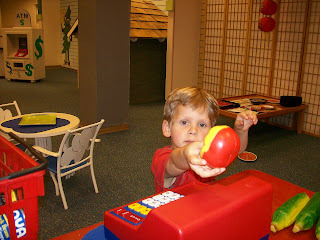 Dawson pretending to be a cashier at the market in the museum. He got a basket, filled it with groceries, scanned each item, and then handed them to me. 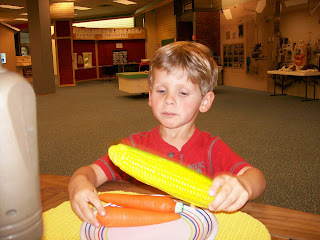 After "paying" for our groceries at the market, we had a little picnic.